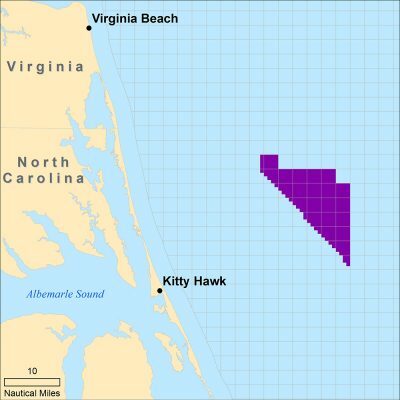 KITTY HAWK — With a bid of $9 million dollars for the lease to develop the Kitty Hawk Wind Energy Area, or WEA, Avangrid, a subsidiary of the Spanish company Iberdrola SA, has secured the rights to develop one of the largest areas on the East Coast. With a theoretical potential of 2,000 megawatts, the Kitty Hawk WEA could generate enough energy to power a million homes. Avangrid, which declined an opportunity to comment for this report, already has a toehold in northeastern North Carolina. 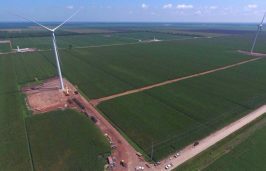 The Amazon Wind Farm in Pasquotank and Perquimans counties, which generates 200 MW, or 200 million watts, became fully operational in February. Located 26.5 miles northeast of Kitty Hawk, the offshore wind energy area spreads across 122,405 acres, or 191 square miles, of ocean. The process of moving from lease purchase to production of utility-quantity energy is complex, time-consuming and expensive. It includes on-site tests to confirm that the theoretical potential of the area matches real-time measurements and multiple environmental studies. To date, no federally leased WEA has gone from lease to full production. The only permitted offshore commercial wind energy site along the Eastern Seaboard is the Block Island Wind Farm, 3.8 miles from Block Island, Rhode Island. From pilot project to completion took seven years, and that site is relatively small, producing 30 MW of power from five turbines. If the Kitty Hawk WEA does advance from test site to production, to fully develop the wind resource would require 240-250 turbines, based on current technology. 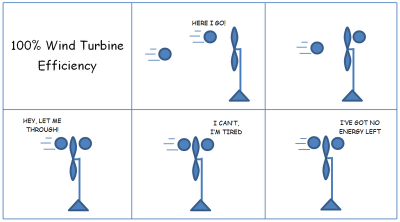 The density of turbine placement would be determined by the size of the blades and efficiency. 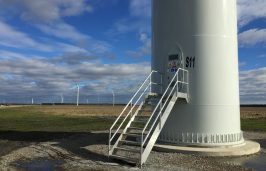 Walter Musial, manager of offshore wind at the National Renewable Energy Lab, said the turbine industry is approaching the limit of efficiency in capturing the kinetic energy in wind. Eight MW turbines are the industry standard at this time; the Vestas V164 uses an 80-meter, or 262-foot, blade and the Adwen AD-180 is 88.4 meters, or 290 feet. Blades of that size and efficiency, about 50 percent, limit the number of turbines that can be used efficiently. Towering 500-600 feet above the ocean, the engineering and construction hurdles that will be encountered in placing turbines in an environment as unforgiving and harsh as the Atlantic Ocean are considerable. Yet the turbines, as expensive and difficult as it may be to build them, represent just the tip of the iceberg in bringing that power to the grid. Engineers and planners will have to confront these challenges when designing an underwater transmission system to get the power generated offshore to land. There are also regulatory issues. And then there’s the capacity of land-based systems to handle 2,000 MW and get it to the grid. Because full transmission of power is likely a minimum of seven to eight years away, regulations may change, and new materials and technology could affect how energy produced offshore is transmitted. Nonetheless, some things appear certain. First, it is doubtful that offshore energy will be transmitted directly to North Carolina, meaning the state would likely miss out on revenues. Virginia is part of the PJM Energy Market, which procures electricity and distributes it, based on load demand, among all or parts of 13 states and Washington, D.C. North Carolina is not part of PJM’s market and the state is more heavily regulated. That makes a difference, said Andy Keeler, head of public policy and coastal sustainability at the UNC Coastal Studies Institute in Wanchese. It also appears unlikely that the Outer Banks has the capacity to handle the amount of power the offshore turbines could produce. Although the nearest substation to the WEA is a Dominion North Carolina Power site in Kitty Hawk, neither the substation nor the transmission lines connecting it to the grid are now capable of handling 2,000 MW. 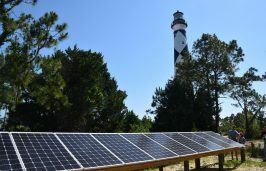 A study in 2012 by the North Carolina Transmission Planning Collaborative and PJM, examined where wind energy generated off the North Carolina and Virginia coasts would connect to the grid. The study did not include Kitty Hawk in its findings. Dominion Power, which operates in North Carolina and Virginia, holds the lease rights to the Virginia Beach WEA about 24 miles north of the north end of the Kitty Hawk WEA. However, that project is currently on hold. If it does get back on track, the solution may be to connect the Kitty Hawk WEA to the Virginia Beach WEA and integrate the energy at the Landstown substation. That would require upgrades to the PJM system, according to the 2012 study. If the Virginia Beach WEA option is not available, a 60-mile submarine cable would have to be used, which opens the possibility of a direct current, or DC, transmission line instead of alternating current, or AC, which is how energy is usually transmitted within a grid. There is less loss of energy in DC transmission than AC, and the submarine cable for DC is lighter in weight and easier to install. Some estimates put the savings at 30 percent by using a DC submarine cable instead of AC. That savings is offset by the cost of converting DC power to AC. ABB is a Swedish-Swiss company with that works extensively in connecting offshore energy to power grids. Jiuping Pan, a corporate researcher at ABB, works in the company’s Raleigh office and he has written extensively about the use of AC and DC submarine transmission. If that is the case, the Kitty Hawk WEA will connect using an AC cable, but there is a caveat in the crystal ball.